I'm not sure why Pusha-T wanted to pick a beef with Drake, to begin with, even after listening to his diss on DAYTONA. Sure, he calls out Drake on using ghostwriters...but many in the industry do so. That also includes DAYTONA's producer, Kanye West. The way I see it, using a ghostwriter doesn't make you any less of an artist: not everyone has the mind to constantly pump out lyrics. As long as he uttered lines reflect what the artist truly feels, who cares? After Pusha-T released "The Story of Adidon," Drake was quiet while many awaited a response. 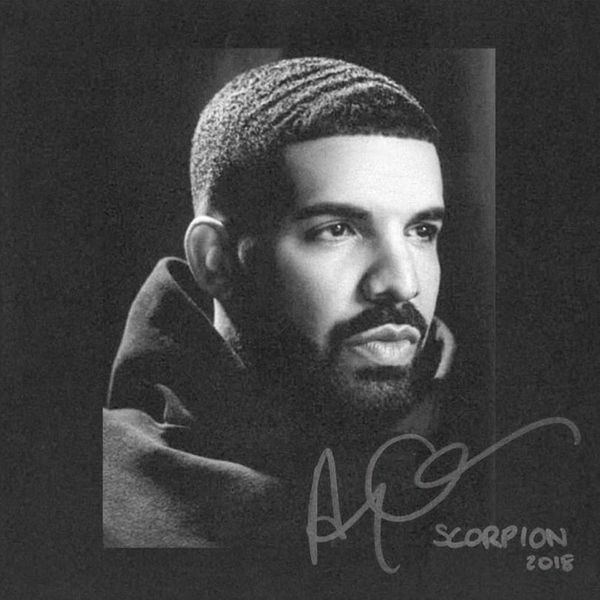 Drake never released another diss track to counter what Push said, but he did answer back in Scorpion. Drake admits to having a child, collectively with the tracks "Emotionless" and "March 14." He resents being a co-parent but accepts the life he is faced with now. Drake already knows what people are going to say about him when releasing the album, and silences it immediately. Sure, it won't stop people from saying these things, but I applaud the way he acknowledges the common criticism he receives and laughs at it. I don't think Pusha-T can really tear this man down, even if the world declares him the winner of a rap battle. Drake is still on top -- in popularity and in album sales, something Pusha-T was never going to be able to answer to. Exposing personal business and insulting people with multiple sclerosis was never going to earn him any points. Drake is still alive and well...and definitely not murdered by Pusha-T.
Oh, and another thing: Drake isn't a deadbeat father. He's been providing financial support for the child and its mother since late in her pregnancy. She has full custody of the child, so it's not like he can just see him whenever he wants. It's a process. A true deadbeat father would not be present in a child's life at all, and Drake already saw the child over Christmas so that is automatically ruled out. I believe a lot of people fling the term "deadbeat dad" around without knowing what it really entails. Now that I've talked about the beef and other forms of nonsense surrounding the album, I can get to what I think about it. Scorpion itself is a double album, with a "Side A" and "Side B," respectively. Side A seems like a hard, straight-to-the-point rap album with little room for nonsense. Side B gives me that classic rap/hip-hop/r&b feel that I've always known and loved Drake for. I find myself personally on Side B more often, for the reasons I stated above. It also includes some clever stuff, such as the inclusion of vocals from Michael Jackson and a sample of Nicki Minaj from a live performance in 2014. Critics might say that the inclusion of Jackson is weak on Drake's part (attempting to save the album I guess), but I see it as elegant and a nod to the King of Pop. Drake definitely has a few more years to keep doing what he wants, that's for sure.